1st day: Arrival in Sofia. Transfer to the hotel. Dinner. Overnight accommodation. 2nd day: After breakfast - departure to the village of Banya for a visit to the wine cellar Valley of Roses with king 's collection. On the way - sightseeing in the town of Koprivshtitsa. 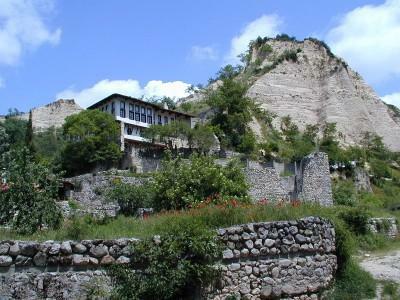 The biggest treasure of the town is its historical past, connected with the years of Ottoman yoke. Narrow stone streets and bridges, picturesquely decorated houses, create a unique atmosphere. In the tasting room of (1) the wine cellar Valley of Roses in the village of Banya wines from the King 's collection are tasted in the unique atmosphere of Tsar Boris III palace. 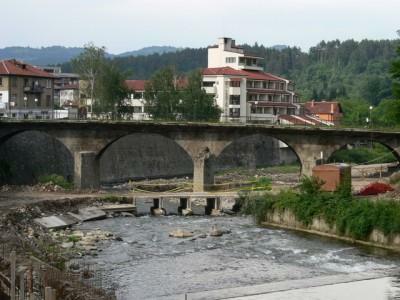 Departure to Troyan, a famous crafts town, situated on the banks of the river Beli Osam. Dinner. Overnight accommodation. 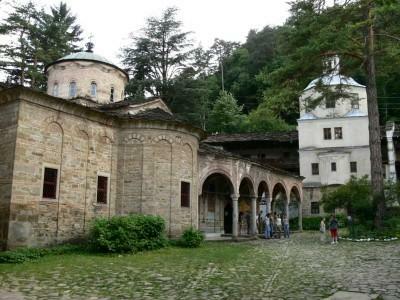 3rd day: After breakfast - departure to one of the biggest Bulgarian monasteries - Troyan monastery. Founded at the end of 16th century it is remarkable for its architecture, woodcarving and incredible frescos, a work of one of the greatest Bulgarian Revival painter - Zahary Zograf. Lunch. Departure for (2) Suhindol. 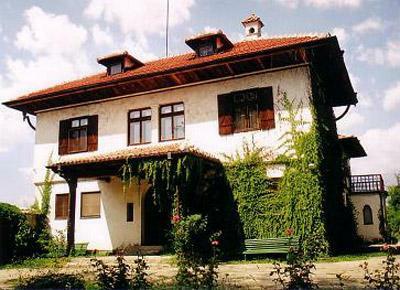 In addition to the tasting of high-quality Bulgarian wines, tourists can visit the Museum of wine. Departure to Veliko Tarnovo. Accommodation in a hotel. Dinner. Attendance at the show Sound and Light. Overnight accommodation. 4th day: Breakfast. Sightseeing in V. Tarnovo, the Medieval Bulgarian capital, magnificently situated on the picturesque banks of the river Yantra. 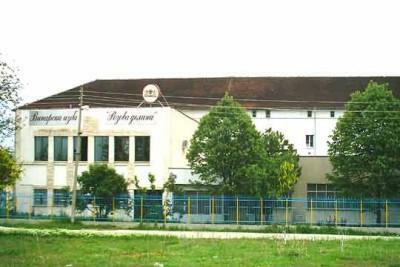 The town reached its zenith during the time of the Second Bulgarian Kingdom, when it became a political, cultural and spiritual centre of Bulgaria. The view of the town is formed by the buildings in typical 18th - 19th century architecture, situated in terraces on the hills around the river Yantra. One of the most attractive Bulgarian villages - Arbanasy is visited, with its characteristic architectural style, well preserved houses, churches and monasteries from 16th - 17th centuries. Lunch. 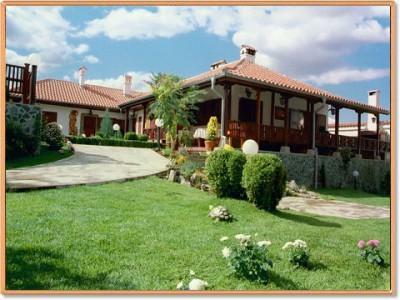 Departure to (3) wine cellar Osmar, which has inherited the tradition of winemaking for 150 years. 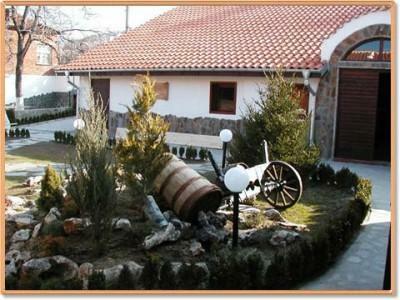 Situated in the village with the same name Osmar, it is near the ancient Bulgaria capital Veliki Preslav. A tasting of high-quality Bulgarian wines and rakiya (brandy) is offered to the accompaniment of Bulgarian folk musik. Overnight accommodation in the town of Shoumen. 5th day: Breakfast. Departure to Plovdiv. A visit to (4) the wine cellar in Sungurlare - tasting of wines with elegant, mild flavour, rich of intensive aromas. Free time in the town of Sliven. Departure for (5) wine cellar Edoardo Miroglio in the village of Elenovo. Tasting of wines, produced mainly after French technology with strong aroma, density and unique flavour. Overnight accommodation in Plovdiv. 6th day: Breakfast. Sightseeing in Plovdiv - the third biggest city in Bulgaria. Founded in the place of a prehistoric village from the second millennium BC, the old town with its beautifully painted houses is a real open-air museum. 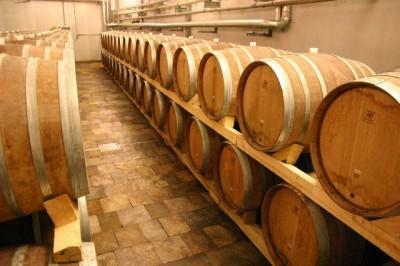 Within 6 km of the city is the village of Brestovitsa with the famous wine cellar (6) Todoroff. 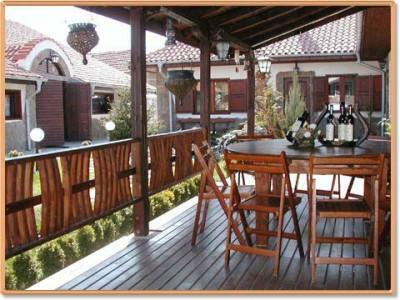 The tourists taste five different types of exquisite Bulgarian wines there. Lunch. 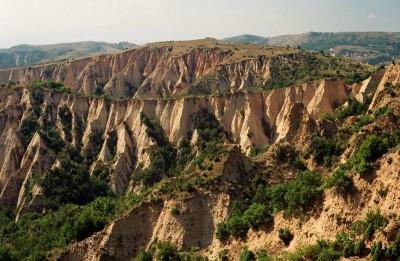 Departure to Melnik - the smallest Bulgarian town, acknowledged as an architectural reserve. One of the most impressive buildings in the town is Kordopulov mansion - the biggest Medieval house in Bulgaria, built in 1754. Amazing are huge barrels, dug into rocks, where wine is left to mature and acquire its unique quality. 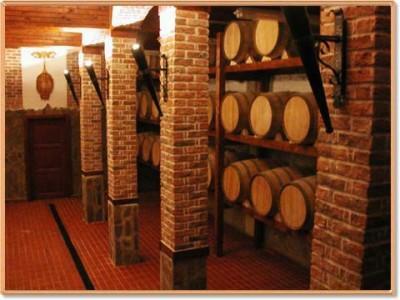 In the evening in a wine cellar (7) in the village of Harsovo near Melnik trademark wines from this famous region are tasted. People say about Melnik wine, that it is so thick, you can carry it in a cloth. Overnight accommodation. 7th day: Breakfast. Departure to Rila monastery, founded in 10th century by a monk - Ivan Rilsky. The biggest monastery complex in Bulgaria became a centre of Bulgarian culture and enlightenment in the early Middle Ages. Icons by the most famous icon-painters from 18th and 19th centuries have been preserved there. A rich collection of golden and silver coins, weapons and church objects is exhibited in the monastery museum. Departure to Sofia. Lunch. 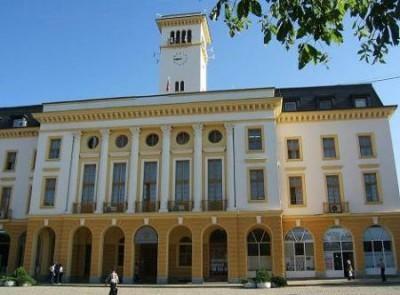 A walking tour round the architectural and historical sights in the centre of Bulgarian capital. Sofia is one of the most ancient towns in Europe, founded more than 5 thousand years ago. During the walking tour St George rotunda and St Alexander Nevsky cathedral are visited. Dinner. Overnight accommodation. 8th day: Breakfast. Transfer to Sofia airport. Dates: All year round. Minimum group size is needed. Additional price for a single room. Children under 12 - 70% of the price for adults.